Korea's Information Society: Curved phones or build your own? 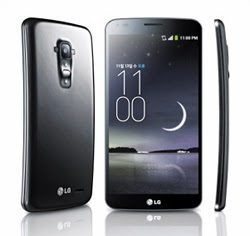 LG has followed market-leader Samsung by launching its own curved smartphone. As shown in the accompanying graphic, the LG phone is slightly curved along the length of the phone rather than its width, as is the case with Samsung's curved phone. Also, as reported by the Chosun Ilbo, the new LG phone includes not only a flexible display, but also a flexible battery which represents a significant technological advance. Coincidentally, today's English edition of the Chosun Ilbo also contained a story about the announcement on Monday by Google-owned Motorola of Project Ara. The official Motorola Blog describes the project as follows: "Led by Motorola’s Advanced Technology and Projects group, Project Ara is developing a free, open hardware platform for creating highly modular smartphones. We want to do for hardware what the Android platform has done for software: create a vibrant third-party developer ecosystem, lower the barriers to entry, increase the pace of innovation, and substantially compress development timelines.Our goal is to drive a more thoughtful, expressive, and open relationship between users, developers, and their phones. To give you the power to decide what your phone does, how it looks, where and what it’s made of, how much it costs, and how long you’ll keep it." To achieve these goals, Project Ara has teamed up with Phonebloks, an effort described in the following video.